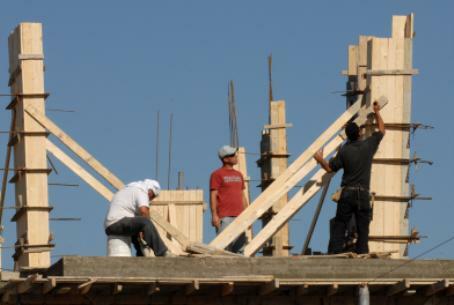 PA, leftist MKs slam the announcement for tenders of over 1,800 new housing units in Jerusalem, Judea and Samaria. Israel’s planned construction of over 1,800 new housing units in Jerusalem, Judea and Samaria was condemned on Friday by both the Palestinian Authority (PA) as well as MKs from the left side of the political map. "This decision reflects Israel's insistence on sabotaging U.S. efforts to reach peace based on the two-state formula," PA spokesman Nabil Abu Rudeineh said in a statement carried by the PA-based WAFA news agency. The PA has also voiced to the United States its objection to the planned construction, reported Israel’s Channel 2 News. The planned construction was also criticized by Environment Minister Amir Peretz (Hatnua), who said that such announcements have no benefits whatsoever for Israel. “These unnecessary construction announcements endanger the peace process as well as our relations with the U.S. and the international community," he stressed. MK Mickey Rosenthal (Labor) said that the publication of the new tenders is “Netanyahu’s way of undermining negotiations and clarifying the real policy of the Israeli government in regards to housing." “The Israeli government has no desire to resolve the conflict with the Palestinians," declared Rosenthal. The newly declared plans include 801 units in Judea and Samaria as well as 600 units in Jerusalem, with tenders on an additional 532 units in Jerusalem that were previously announced being re-marketed. Earlier, the PA’s chief negotiator Saeb Erekat also reacted angrily to the tenders, saying, “The new settlement construction is a message from Netanyahu to [U.S. Secretary of State] Kerry not to come back to the region to continue his efforts in Israeli-Palestinian peace talks." "Every time Kerry has stepped up his efforts, returning to the region (for more talks), Netanyahu has stepped up his efforts to destroy the peace process," complained Erekat. "Netanyahu is determined to destroy the two-state solution. It is high time we held Israel accountable for its crimes." The tenders that were published on Friday are ones that Netanyahu had planned to publish parallel to Israel’s recent release of 26 terrorist prisoners from Israeli jails as a “gesture” to the PA.
Netanyahu later agreed to postpone the announcement until after Kerry concluded his latest visit to the region.